I read this article and found it very interesting, thought it might be something for you. 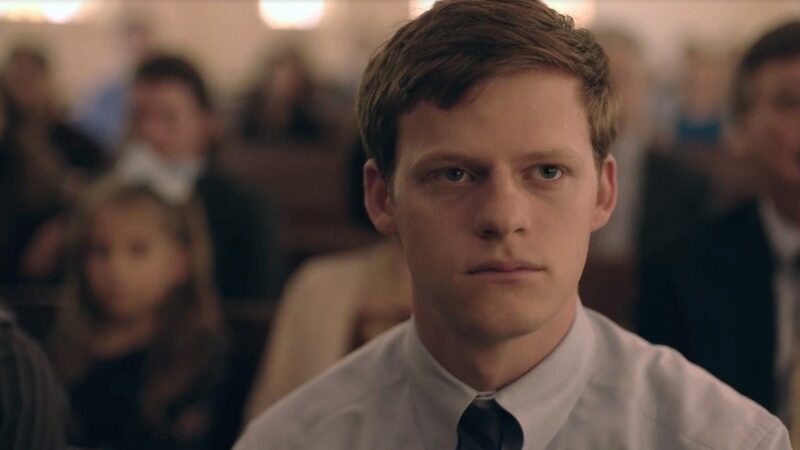 The article is called Cinema Review: Boy Erased and is located at https://www.totallydublin.ie/film/cinema-reviews/cinema-review-boy-erased/. In early naughts American culture, boys must adhere to the strict rules of toxic masculinity or face erasure. In director Joel Edgerton’s depiction of Garrard Conley’s memoir Boy Erased, this erasure comes in the form of conversion therapy camp. Jared Eamons, played by an unforgettable Lucas Hedges, attempts to embody the rules of manhood put forth by his pastor father (Russell Crowe), his Arkansas hometown and Dr. Sykes (played by Edgerton himself), the director of the misleadingly titled Love in Action therapy program. He takes part in an asexual high school romance with a cheerleader, he catalogues his homosexual thoughts in his “moral inventory” homework and he practises the “manly” posture (hands on hips, legs apart) taught by a homophobic former-convict at the program. However, scenes of brutality, as well as the humorous typos in the program’s textbook, cause Jared to question his faith. Not far behind him is his Southern Belle mother, played by a ravishing Nicole Kidman, who gains a quiet independence as her son’s only supporter. Jared’s—Garrard’s—story is at times bleak, at times tender, and at times utterly unbearable. Edgerton carefully balances hope and anger with the film’s dismal surroundings and orchestral score. He avoids the clichés of an ever-growing genre (the coming out story) with his bluntly honest portrayal of a very real part of American culture that still has the power to shock audiences. While the story sometimes feels familiar and its drab setting gives it a muted quality, its crescendo and release are ultimately cathartic. At its core, this is a tale about a society that tried to erase human differences – and failed. Thanks to the impressive performances by a group of people who just seem to want to bring this story to the public (among them gay pop icon Troye Sivan, who plays a fellow boy in the program and also wrote an original song for the film), Boy Erased will stay in your head for days to come.